We put novel science and technology development into practice and take on moonshot challenges. Our student-led team fosters a fearless, no-holds-barred approach when coming up with innovative solutions to engineering problems. Take charge of your engineering education and influence others. Make an impact. Our student-led team is generously funded by UBC, corporate sponsors and private donors. We are constantly seeking new partnerships, business opportunities and collaborations to diversify and strengthen our funding sources. Our team has some of the most talented, dedicated and self-motivated engineering students on campus. The opportunities for learning and professional growth are endless through our projects. Tuum Est, it really is yours. We are actively engaging with students, faculty and staff across campus, throughout North America and internationally in our projects. Our professional and alumni connections span from Vancouver to New York and Europe. 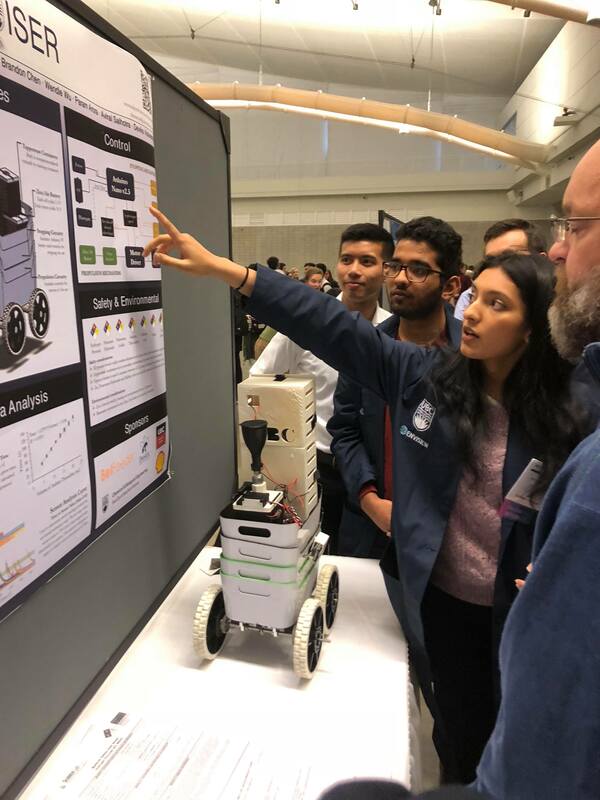 As the official UBC AIChE Student Chapter, UBC Envision maintains strong ties to the American Institute of Chemical Engineers (AIChE) and actively participates in all AIChE events. We have the full support of the Department of Chemical & Biological Engineering and many CHBE faculty members in all our projects. We send our best members to many different competitions, conferences and on-campus events every year to learn, compete and network, bringing valuable experience and ideas back to the team.